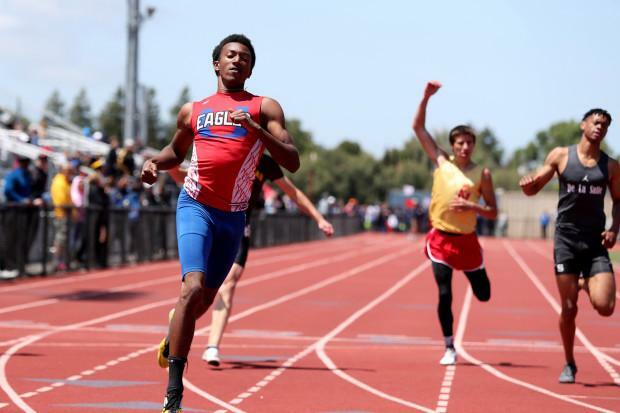 The top returning sprinter in the section is senior Cameron Reynolds of Clayton Valley (Ray Chavez photo above). 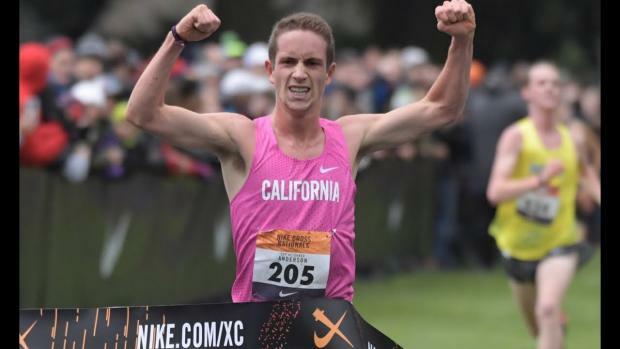 Last year, Reynolds had a spectacular season that culminated at the 2018 California State meet as he led his teammates to a 3rd place team finish. Reynolds finished in 2nd place in the 400m and had a best of 47.09 which is the fastest returning time for any quarter milers in California. He finished in 5th place in the 200m with a best of 21.46 from the state meet trials. His best effort of the season was during the state finals 1600m relay where Reynolds recorded an unofficial sub 46 leg to power his Clayton Valley team to a 2nd place finish with a time of 3:12.31. One of the most accomplished runners in the country competes in this section. Redwood HS senior Liam Anderson is the 2-time defending section champion in the 1600m and was a double distance winner at last year's section meet. At the California State Track and Field meet, Anderson won his first state Track title in the 1600m. with a best of 4:09.31. He doubled back and finished a game 5th in the 3200m although he did post the fastest time for a California runner earlier in the season at the Arcadia Invitational with a time of 8:52.74. Other notable runners include De La Salle senior Conor Livingston who saved his best race for the 2018 California state meet where he finished in 6th place in the 3200m. with a best of 9:03.75. Dublin duo Loic Scomparin and Christopher Middleton-Pearson give the Gaels an awesome duo and both will be individual contenders as well as members of very strong Dublin distance teams. Russell Sullivan of Foothill and Preston Norris of Las Lomas should also not be overlooked and both will be state meet contenders in whatever events they elect to pursue. Amador Valley junior Aiden Boyle had quite a finish to his 2018 Track and Field season. He qualified to the state meet by finishing in 4th place at the NCS MOC meet and getting under the at-large mark. He was then fouled at the state meet trial race and advanced to the final by meet officials. At the state meet final, Boyle finished in last place but with a new personal record of 1:53.96. The best hurdler in the section last year was Clayton Valley senior Aiden Jackman. He was on his way to an all-time great season with bests of 13.98 and 37.45 but was unfortunately injured at the Arcadia Invitational. The top returner this season will be Newark Memorial senior Jaelen Craft who had bests of 14.79 and 38.35. At the NCS MOC meet, Craft qualified to the state meet in both hurdles with a 3rd place finish in the high hurdles and a section title in the intermediates. The jumps in this section have featured some of the all-time best track athletes in the state of California and sure enough, this season will feature one of the best jumpers in the history of the state. 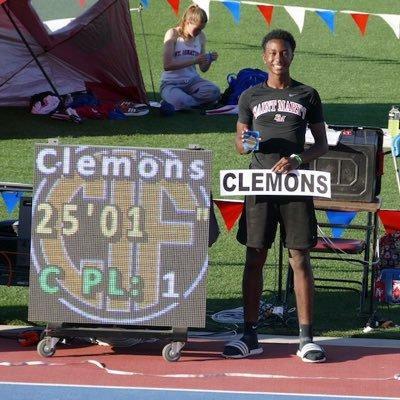 At just a sophomore, St. Mary's Berkeley jumper Malcolm Clemons won the long jump state championship with a wind-aided jump of 25-01 (photo courtesy of his twitter account @_MolcolmClemons). For this season, Clemons will be a strong favorite to repeat as state long jump champion as well as be a strong contender in the triple jump. The best returning high jumper is another Clayton Valley athlete. Senior Daylon Hicks had a best of 6-10 last season and will be one of the favorites to win a state title. He also gives Clayton Valley more potential points at the state meet which could put them in the hunt for a team title. The best returning shot putter in the section is California School for the Deaf senior Calel Aramboles. He is the defending NCS Class A champion and will be favored to take the section title and qualify for the 101st California State Meet.